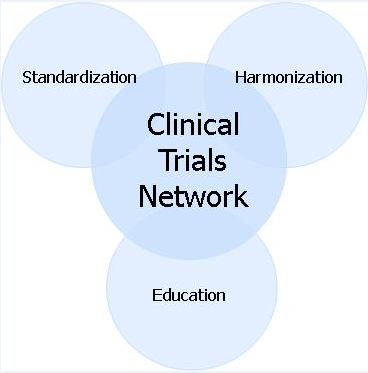 In October of 2008, SNMMI leadership announced the creation of the SNMMI Clinical Trials Network (CTN). The CTN is a collaborative effort assigned to address the widely recognized need for validated imaging biomarkers that can be used in streamlining the development and registration of investigational therapeutics. Standardization in molecular imaging is critical for a trial to be successful, and the elements of the CTN have been carefully developed to make it possible. CTN also works collaboratively with other imaging associations such as RSNA, government agencies such as the FDA and industry leaders to move the entire field forward. The CTN will take a leadership role in advancing the use of radiopharmaceuticals and optimizing the use of molecular imaging in clinical trials and dissemination into clinical practice. Facilitate the effective use of molecular imaging in clinical trials through standardization, coordination, and education for drug development and regulatory approval.